For the last meal swap I made Pork Tenderloin with Pears for the crockpot. 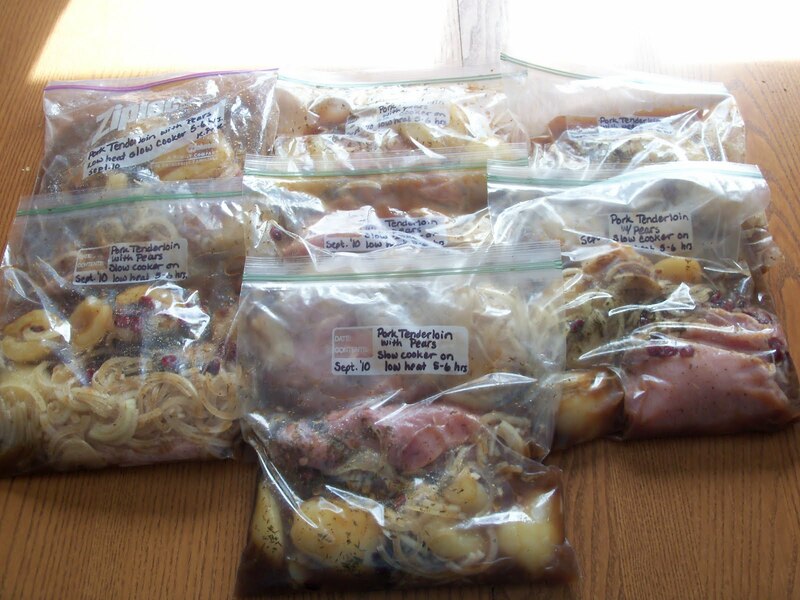 This is a yummy, easy meal and I love cooking with pears! 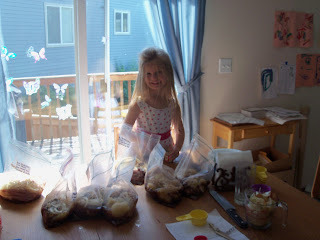 DD1 was a big helper with this meal. 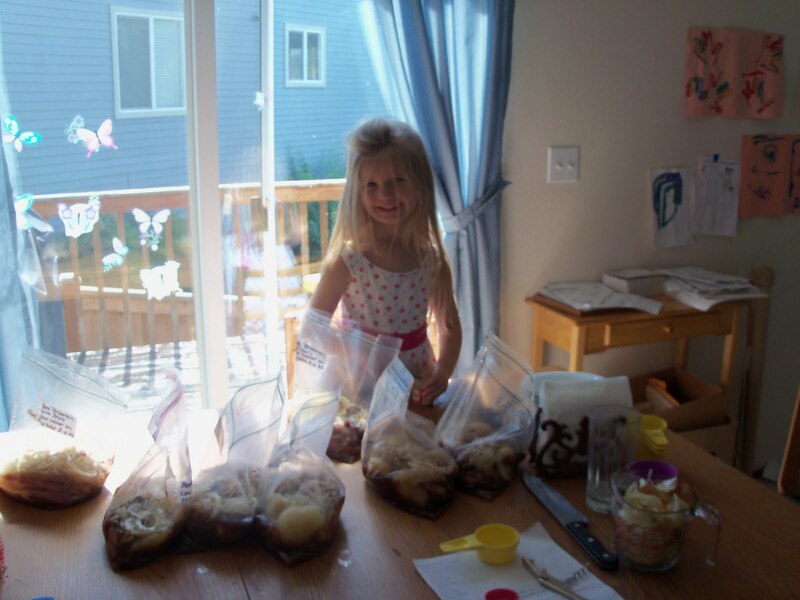 We made seven portions and she divided our Costco-sized can of pears equally into seven bowls. 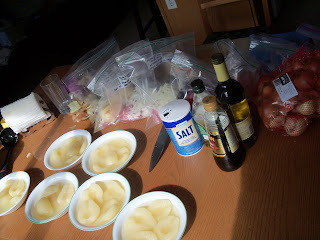 I put the meat into ziploc bags, then we added the pears, onions, and other ingredients to the bags. The finished product, marinating in yummy pear juice and basalmic vinegar marinade. This dish can be cooked in the crockpot for 4-6 hours on low heat or it can be baked covered in a 325 oven for about 2 hours. Oh, I forgot about the wine! It was about $4 at Top Foods with a coupon, so another $.70 per meal. Kracinda, I'd just substitute white grape juice (or diluted apple juice in a pinch) and I'm sure it'll still be yummy. My DH doesn't drink wine so if I didn't use it for cooking we'd probably have that bottle going rancid in the fridge door. Often, chicken broth is a fine substitute for white wine in recipes.